Read your policy! It’s amazing how many people have never read—or even scanned—their health insurance policies to see what’s covered. Well, if you have a claim denied, it’s time to look at the policy to see whether that particular denial matches what’s there in black and white. If the policy states that the insurer does not pay for a service, such as genetic tests for breast cancer predisposition (a service that’s sometimes not covered), little can be done. But even if the policy says that the procedure you’re considering is covered, it’s wise to make absolutely sure! Insider tip: Insurance companies can alter what is covered at any time, so call your insurer before getting any invasive test or extensive or new medical procedure to make sure there have been no changes. Get to the bottom of the “no.” If a claim is denied, your doctor or other health-care provider may not know why. So cut to the chase and call the insurer to find out the exact reason for denial. It could be as simple as the doctor or hospital using the wrong payment code or not completing the insurance submission properly. Insider tip: Keep a log of whom you spoke with and what that person said. Keep copies of any correspondence with doctors, hospitals and insurers that’s related to a denied claim. You’ll need all this if you decide to file an appeal. Move fast! By law, every insurer must have a process to appeal when a claim is denied. Call your insurance company, and ask for its “insurance appeal procedure” and find out to whom the paperwork should be submitted. But don’t dawdle. Time limits for making an appeal can be as short as 60 days, depending on the company. Insider tip: Have your doctor and/or a hospital social worker assigned to insurance claims (if a hospital is involved) submit supporting documentation. Your doctor(s) should also submit a special “letter of medical necessity” to the insurer explaining, in great detail, why the claim should be accepted. Most appeals are won with this type of documentation. 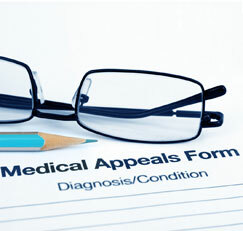 If you have Medicare, there is an extensive appeal process. To read more about it, go to Medicare.gov (click on “Claims & Appeals”) or call 800-633-4227. Don’t back down. Even if your appeal is denied, you can file an appeal to that denial with your state’s insurance department. An outside panel of experts will review your case. Insider tip: It helps to submit to the state appeals group any articles from medical journals and other documentation that support why the test, procedure or medication was necessary for your care. A little research can go a long way! Source: Charles B. Inlander, consumer advocate and health-care consultant based in Fogelsville, Pennsylvania. He was the founding president of the nonprofit People’s Medical Society, a consumer advocacy organization credited with key improvements in the quality of US health care, and is the author or coauthor of more than 20 consumer-health books.